According to a document published in the Federal Register on March 29, PJ Helicopters Inc. and the National Waste & Recycling Association submitted exemption requests pertaining to certain HOS criteria. PJ Helicopters offers precision lift services to several industries, including agriculture, power, construction and firefighting. NWRA represents private sector garbage and recycling groups. PJ Helicopters is requesting exemption from two HOS regulations: the 14-hour rule and the requirement that drivers need to be off duty for 10 consecutive hours after a work shift. Specifically, the company is asking to extend the 14-hour duty period to 16 hours and allow operators to take a break of eight consecutive hours, rather than 10. They would need to take two hours off duty during the 16-hour window. 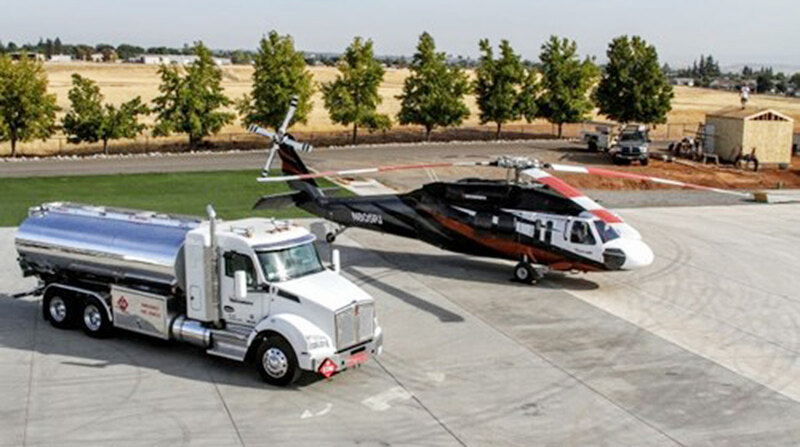 If granted, this exemption would apply to about 32 truck operators who actively respond to incidents in which they serve as ground support for helicopters. Ground support can include providing gas and maintenance services to helicopters. The notice states that the average helicopter can only fly for two hours before needing to refuel. In its exemption application, the company noted that many of its customers are firefighting and law enforcement agencies that require timely support and long hours when responding to emergencies. PJ Helicopters also mentions that ground crew members experience lulls during periods of waiting over the course of the workday and spend little time driving on public roads. NWRA is asking for reprieve from the requirement that shorthaul drivers using the record-of-duty status exception return to their work-reporting location within 12 hours of coming on duty. They are asking that truck drivers who haul waste and recyclables and use the record-of-duty status exception be allowed to return to their work-reporting location within 14 hours instead of the usual 12 hours. NWRA’s members represent about 70% of the private sector waste and recycling market. The group includes about 700 companies and more than 100,000 waste and recycling trucks. The notice states that waste haulers rarely drive beyond a 40-mile radius from their work-reporting location. When NWRA drivers exceed the 12-consecutive-hour limitation of the shorthaul exception more than eight times in any 30-day period, they must install electronic logging devices to document their duty status. According to the Federal Register document, the company’s request to extend the period to 14 hours would help some drivers avoid the economic burden of installing ELDs. NWRA claims that ELDs are cumbersome for waste haulers because the drivers need to interact with the devices during their hundreds of stops. “While NWRA recognizes the safety benefits that ELDs present for other industry sectors, it claims that these devices are actually counterproductive for the waste and recycling industry due to the frequency with which these drivers must interact with them,” the Federal Register document states. FMCSA is accepting comments on both exemption applications through April 29.